A.G.A. Nation | FREE TO HIGH SCHOOLS! FREE TO HIGH SCHOOLS! – Bring Your ‘A Game’ to School focuses on the core ‘A’s of education. 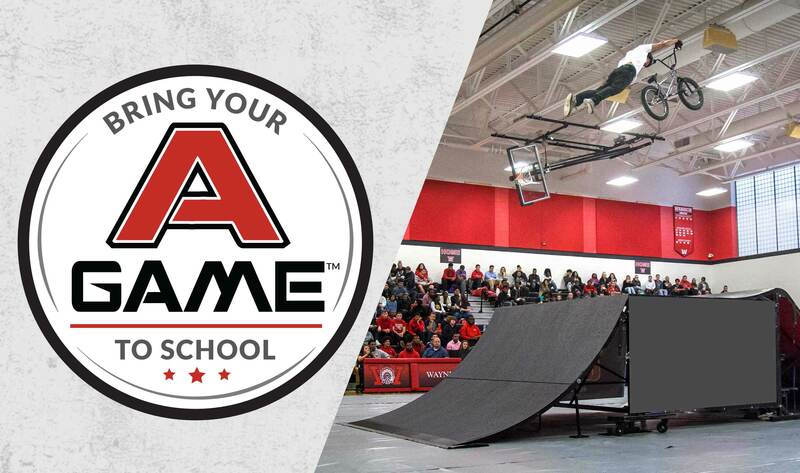 AGA Nation action sports mobile teams inspire and educate students across the country on what it means to bring your ‘A Game’. Assembly discusses Anti-Bullying, personal Achievement, maximizing your Ability, staying Active, being Authentic, having the right Attitudeand more! To learn more how your high school can host a FREE Bring Your ‘A Game’ to School assembly, please contact dawn@aganation.com.